What is ARC GIS Story Mapping? How can it be used by The Waukegan Historical Society, the Waukegan Park District and the Waukegan Harbor Citizens’ Advisory Group? The history and properties covered by the work of the above group’s dates from pre-glacial to post-industrial Waukegan. There are so many types of stories to tell – geological, hydrological, geographical, biological, historical, cultural, industrial, environmental cleanup, recreational, infrastructure growth over the years, and our watersheds just to highlight a few. Each of these stories can detail how to best preserve and utilize Waukegan’s amazing resources going forward. How would the above organizations be able to develop some of the potential available in these planning tools and end product living history tools? This is a very special presentation geared to both staff, commissioners, board members, concerned citizens and all those who work so hard to develop new programs and facilities to enhance the lives of Waukegan and Lake County citizens. Waukegan Lakefront Cleanup sponsored by the Waukegan Port District, the Waukegan Harbor Citizens’ Advisory Group, and the City of Waukegan. Saturday, April 27, 2019 – 8 a.m. to noon – meet at the Clayton Street Parking lot just across the street from the Waukegan Yacht Club. Gloves and trash bags will be provided. Let’s get that plastic off our public lands on the Waukegan Lakefront. It arrives by wind and waves propelled by Mother Nature and Father Time, and needs to be hand removed by caring citizens of all ages. 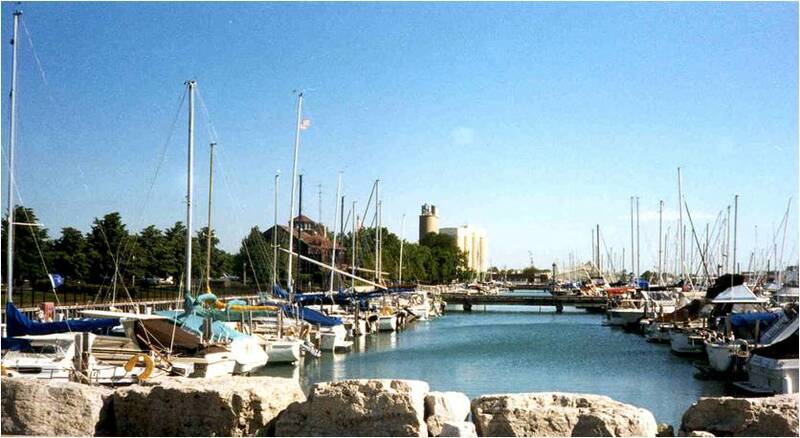 Celebrate Environmental Month by giving back to our local environmental gem, the Waukegan Lakefront.